Habaki : Gold color single habaki. Blade length :　37.8　cm or 14.88 inches. 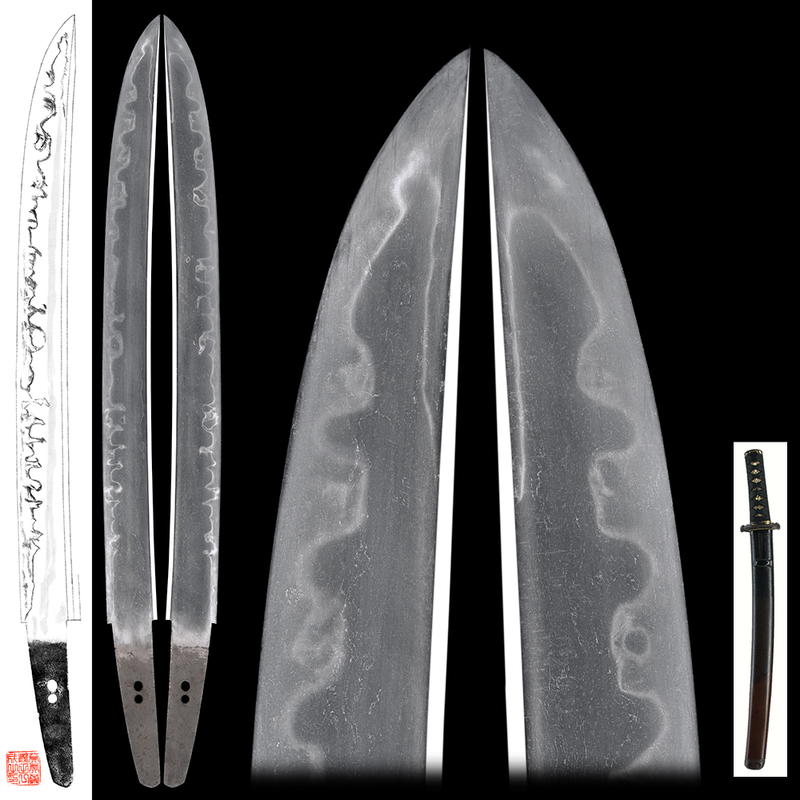 at the top half of the blade (Sakizori) . The shape is Hirauchi style. Jigane : Ko Itame hada well grained with jinie attach and Hadatachi jigane. There is Bo Utsuri on the Ji. Hamon : From Hamachi is Suguha, and then it is Gunome Midare. In Ha, there are many Ashi and Yo. Boshi is small round and deep turn back. Special feature : Kanetsune is sword smith of Mino province. His Jigane has an excellent reputation. 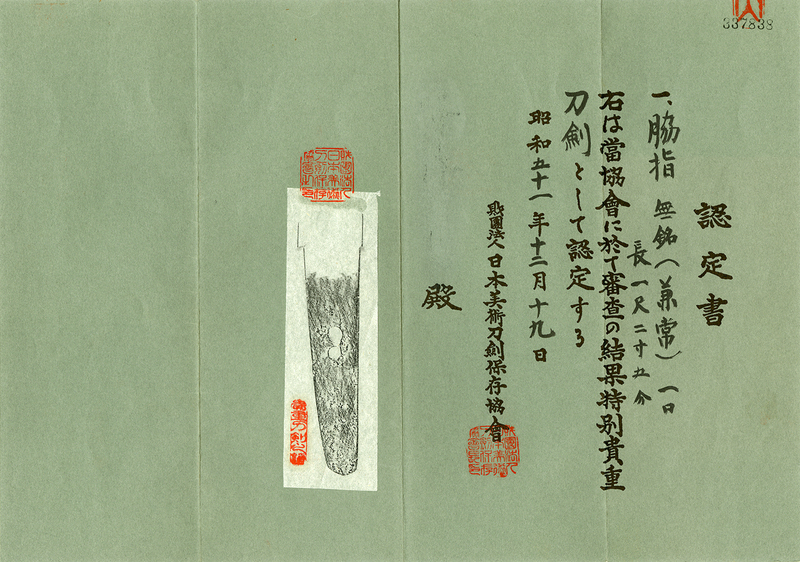 This sword is Ubu mumei attributed as Mino Kanetsune. Jigane is good and blade is heathy. rise up small mimi and landscape are engraved. Signature is Kaneie, but it is not guarantee. Fuchikashira : On the iron plate, flower design is engraved with gold color. Saya : Black Kizami Saya and black put in brown Kawarinuri Saya. Menuki : Shakudo plate with dragon design engraved and inlaid with gold. (We guarantee this blade will pass NBTHK Hozon Shinsa.